Shining like a Rihanna Diamond in Yellow. Find light in the beautiful sea. I choose to be happy. You and I, you and I We’re like diamonds in the sky. 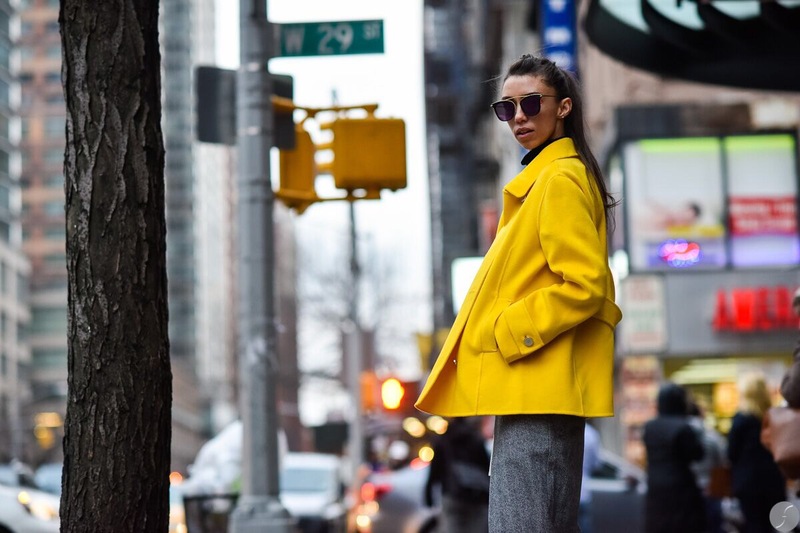 This winter, when the weather is so chilly that the sun won’t even come out to play, choose a bold yellow statement piece and shine like a Rihanna diamond to paint the town with a warmer hue. All you need is a little pop of color to spice up any outfit. 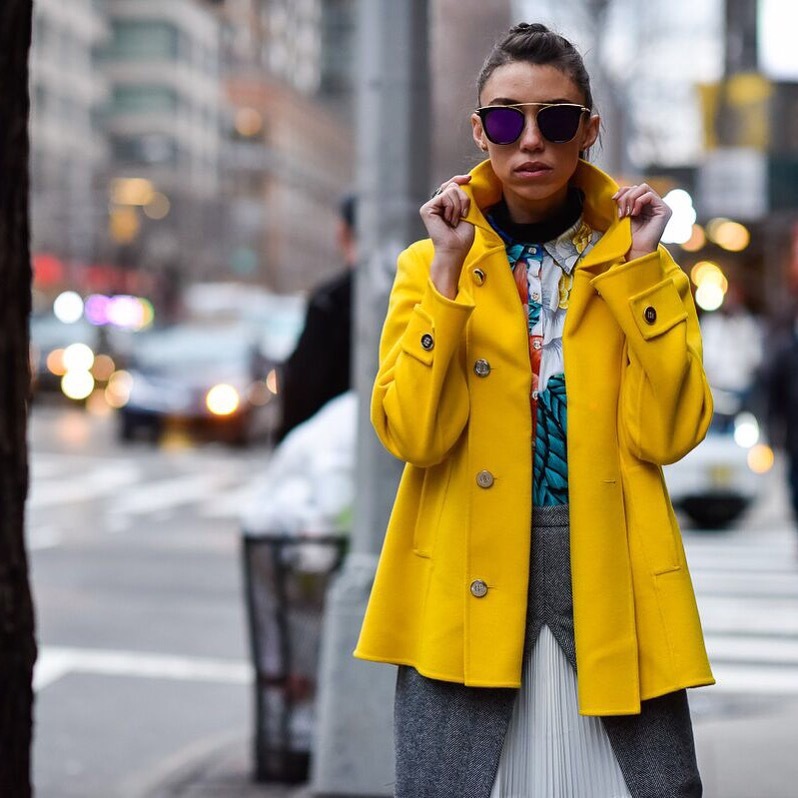 Carolina Herrera makes this vibrant coat which is great for layering and stands out in the city streets. 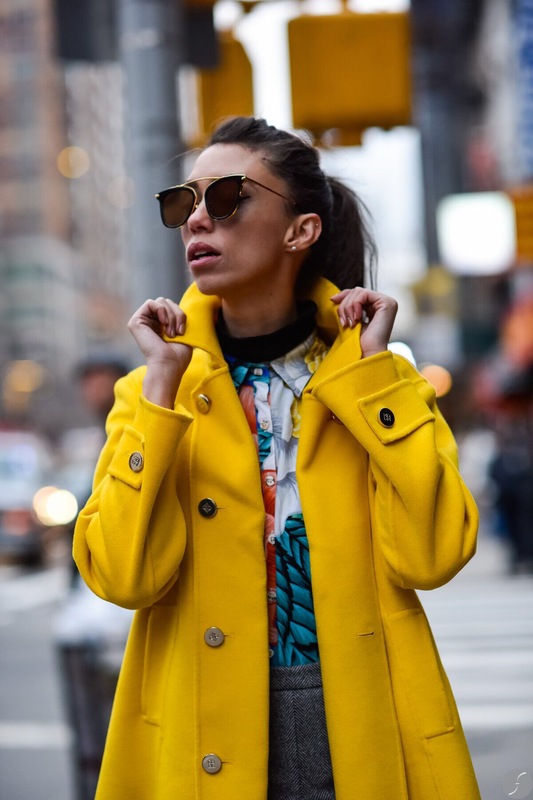 The best thing you can do with your wardrobe to stand out is pop your collars and add a pop color.